Bengaluru: Heavy rain and floods along the Cauvery Basin have resulted in Karnataka releasing 310 tmcft of Cauvery water to Tamil Nadu since the beginning of this water year (since June) as against the scheduled 82 tmcft. This is because Karnataka does not have adequate storage facility, said Water Resources Minister D.K. Shivakumar. Addressing reporters in Bengaluru yesterday, the Minister said that the State has intensified its focus on getting the Centre’s nod to build a balancing reservoir across Cauvery at Mekedatu. 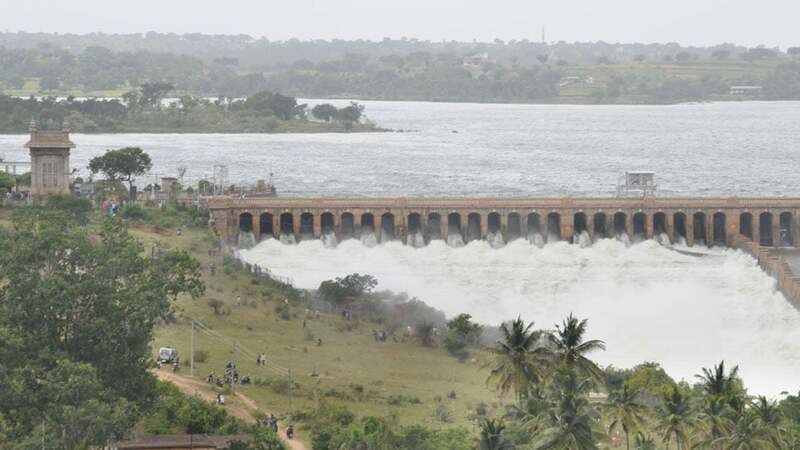 “A balancing reservoir with a storage capacity of 63 tmcft would help in storing excess water which can be released to Tamil Nadu during dry months in addition to taking care of drinking water requirements of several cities and towns of Karnataka,” he said. Karnataka is expecting a positive reply soon from the Union government for the Rs. 6,000-crore project, he said. Claiming that the project would help Karnataka and Tamil Nadu, the Minister said that it required around 4,000 acres of forest, agriculture and revenue land. “We are trying to convince farmers of my Kanakapura constituency to give up some of their land for it as the project will benefit them as well,” he said, revealing that the government had approached the Union Ministry of Forests, Science and Ecology for its consent too as a portion of the forest in Hanur was required for the project. He observed that Karnataka was legally bound to ensure release of water to Tamil Nadu on the basis of monthly quota. There was no provision to adjust any excess releases in a month to the future months. He maintained that Tamil Nadu too had begun to realise the need for building a balancing reservoir in Karnataka for ensuring scheduled water releases. “It is in this context that Mekedatu project has become our first priority and we have started pressurising the Centre to give its accord,” the Minister said.